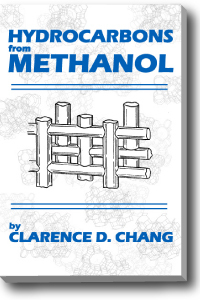 This book... *IS* for the back yard guy or the new chemistry student or for someone who really wants to understand how methanol is made and where it comes from and how it was done in the past and how its done today. This is not a 'how to' book but it IS a very detailed book. It is one of the EXCELLENT books done by the former Solar Energy Research Institute and AGAIN its our WONDERFUL FRIEND Thomas Reed who co-authored, edited and updated the book. Thomas Reed is also the man behind the Volume 4 of the Hydrogen Gas Generator Book for Vehicles and Engines Vol 3/4 that is one of our bestt selling books. 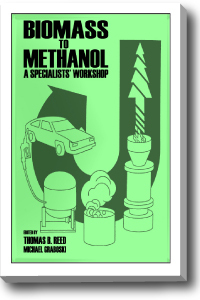 If you love energy, you'll want EVERY book that Thomas Reed has worked on ! book..this is an industrial reference chemistry book. Its going to be expensive and unless you are a chemist in the hydrocarbon field.. you'll need a secret decoder ring to use it... or 4 to 8 years of college.